Park Church is located in Shelton, the most ethnically diverse place in Stoke-on-Trent. Many international people find life in the UK difficult: there are language barriers, loneliness, cultural differences, and then there’s the weather! We can’t fix the weather, but we want to help with the other problems. 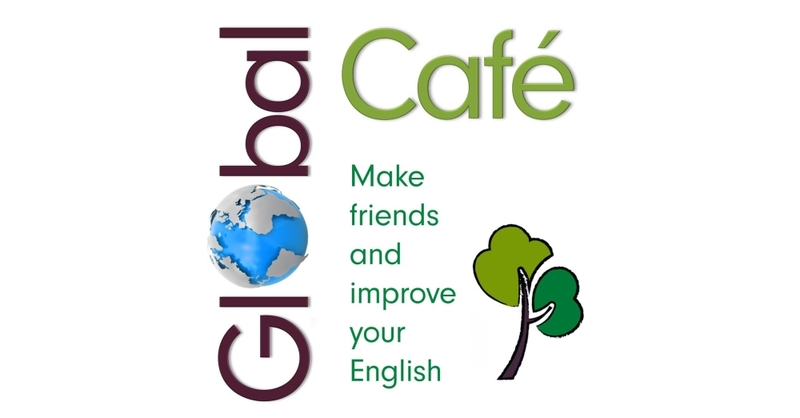 Global Café is a place to come and make new friends and practise your English with native English speakers. We meet at Park Church in Shelton. Find us. When does Global Café meet? We also have special events and outings. What happens at Global Café? Why do you have a Bible Story? We are a Christian church and we believe the Bible is the best story in the world because it tells us how much God loves us. Reading the Bible together has been used to teach English for hundreds of years. Do I have to be a Christian to come to Global Café? No, not at all! Global Café is for anyone – for all faiths or none. You will not be asked to pray or sing or do anything you feel uncomfortable with. We promise! Global Café is completely free of charge. If you want to contribute towards costs, you can, but we will not ask you for money. Who can come to Global Café? Anyone who wants to make friends and practise their English. Is Global Café just for students? No. Global Café is for anyone, young or old, from any country. What standard of English do I need to have? From complete beginner to advanced. Do you use an English language curriculum? No, this is very informal learning. We are not certified or accredited to teach English. But we are all native English-speakers, so we have lots of practice! Why do Park Church run Global Café? We believe God made all people from every culture and language equal. We believe it is part of our Christian duty to love and help international people who live in our community. If you want to know more about our faith, we will gladly tell you.